Sell your iPhone 4 32GB with OnRecycle and get the most cash – we'll compare all the major phone recyclers to find you the best possible prices. With OnRecycle, selling your 32GB iPhone 4 will be a breeze: in just seconds, we'll compare 32GB iPhone 4 trade in prices from an array of trusted recycling companies. We'll even show you their payment method and speed along with any user reviews – so what are you waiting for? 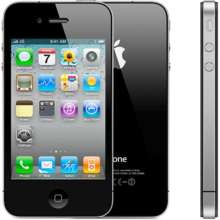 Sell your 32GB iPhone 4 with OnRecycle today and enjoy the budget boost!